With the local barangay elections coming up on October 28, my vote is for delicious food! :D Speaking of which, if you’re craving for pancit Malabon and native Filipino delicacy such as pichi-pichi, I nominate Amber Restaurant to satisfy your taste buds! Amber’s chain of restaurants is known for its soft and chewy pichi-pichi as well as the famous pancit Malabon. Amber’s humble roots began in Malabon so it’s no wonder why their pancit is phenomenal. Although there are only several branches, you won’t regret dropping by and trying their pancit and pichi-pichi. People even line up to dine or to bring home boxes of supple and delectable pichi-pichi, locals and foreigners alike. 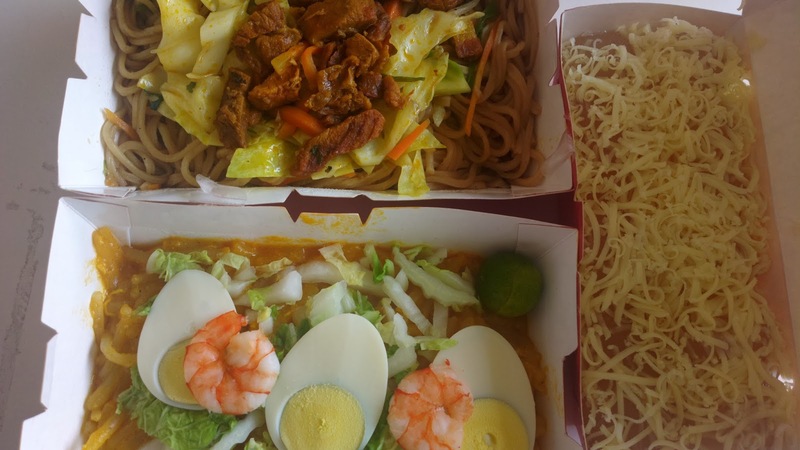 But other than these two dishes, you can also take a bite of other offerings such as Filipino spaghetti, lumpiang shanghai, chicken, pork BBQ, and more. Dine-in, take-out, and delivery menu as well as catering services information, branches, and more is available at www.amber.com.ph.